It takes a lot of effort to look natural and candid. When social media first blew up, there was a quaint notion that amateurish photos were charming and authentic and the way to go. But the stakes are far too high today: according to the Social Science Research Network, 65% of people are visual learners. In other words, images have more impact on your marketing and communication efforts than copy. Regardless of whether you are having an evening reception or a 5-day, citywide conference, professional photos are the gift that keeps on giving. They provide fuel for your marketing and social media activities for the entire year—and you will have no copyright issues. Your annual meeting is also the most efficient opportunity for building your image library because just about everyone—board, staff, vendors, partners—is gathered together. It’s probably the one and only annual opportunity to get a variety of shots, including headshots. But while the old adage may be “a picture’s worth 1,000 words,” the opposite can also be true: 1,000 pictures can be worth no words. Take it from me: I recently sifted through more than 1,000 photos for a client and found fifteen that were usable. Fifteen. Dark, dark, dark. Did I say dark? Filters and editing can accomplish a lot, but they should not be called upon to do the actual work of a photographer. And, as of yet, there is no filter available that will tuck your shirt in and fix your hair. Editing should be called upon to resize, to subtly lighten and to occasionally remove something that may render an otherwise perfect photo unusable—such as a huge vendor logo in a background. The next problem in my quest for usable photos became identifying the people in the photos because the photographer had simply been unleashed upon the crowd. It took more than two weeks for the client to determine captions for the photos. There’s not much sense in working with a professional photographer if you do not have a plan. It’s like hiring a pilot and a plane and not having a map. Start looking early. Ideally, you want to book your photographer six months out. You don’t know how many people I have met who put off identifying the photographer until a few weeks before. If you have someone who accepts a job two weeks before the event, they are probably not that great. Get referrals and review online portfolios. You have to assume their best work is in their portfolio so if you’re not seeing images you like, move on. There was a time when photographers had very narrow specializations but today they can do everything. Consequently, you want to hire someone who can take action shots, candids, posed shots and headshots. Perhaps both indoor and outdoor, depending on your event. Don’t get caught up in whether or not someone has done corporate work: one of my best photographers was primarily a wedding photographer before I hired her. Think about it…is your Board President any match for Bridezilla? Don’t be pennywise and pound foolish. Images give you so many options and are a great use of your marketing dollars. Costs vary based on factors such as event-type, duration, and location but expect to spend between $750 and $2000. Discuss how long it will be before you can see the raw photos and if there will be any other fees during post-production. Prior to the event, create a day-to-day calendar and a shot list of “must have” shots and VIPs. You don’t know how many times I have reviewed photos and found not one shot of the Board President. If you are taking headshots and group shots with your Board, get it on their calendars and get it out of the way early. 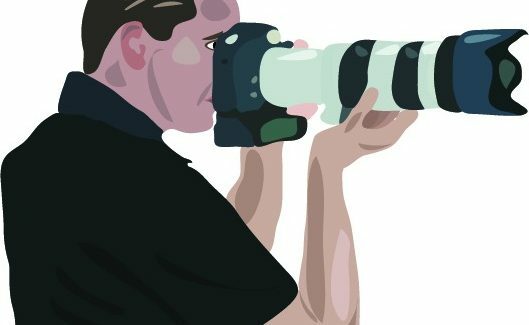 At the actual event, review the shot list with the photographer and accompany the photographer until the key shots have been accomplished. If you don’t know the names of some of the folks in the key shots, take their business card or ask them their name and mark it down. I like to use the audio or video app on my phone and ask them to speak their name and organization. Later on, I can cross reference the information with the actual shots. You can release the photographer to take candids unaccompanied—but only after the primary mission has been accomplished. I like to let the photographer do their thing on the trade show floor where exhibitors interact with members. One note about candids: they are not important in a business setting. People like to see photos of themselves looking their best and candids will not accomplish that. If you have to set up a posed shot that masquerades as a candid (e.g. an exhibitor talking to a customer) go for it. This is about using your time efficiently—not about waiting around for the perfect candid shot to reveal itself. Build in some time to regroup with the photographer at intervals throughout the duration of the event to scroll through the shots. This will give you a good sense of whether there are any gaps in the variety of images. Personally, I like a trigger-happy photographer because once they are gone, they are gone—and you will have to work with what you have. When you have the photos, organize them as quickly as possible by event, date, name, and any other tags you use. It will save a lot of trouble down the line. Ultimately, working with a professional photographer is an excellent use of your marketing budget. But you need to plan for it and the photographer cannot be expected to work on auto-pilot! Michael Cummings is the Principal of Tate / Cummings and the owner of the design and copy firm Deco, by Tate / Cummings. He’ll next be speaking at the ASAE Annual Meeting on August 21 in Chicago.